An orange rises slightly from the bottom edge, while yellow and blue both enter the composition from the right edge. A tiny dab of white floats above the orange form and an even smaller green shape sits in the upper left quadrant. A deep crimson red lifeline bisects the canvas from bottom to top just right of center. The rest of the composition is left bare. 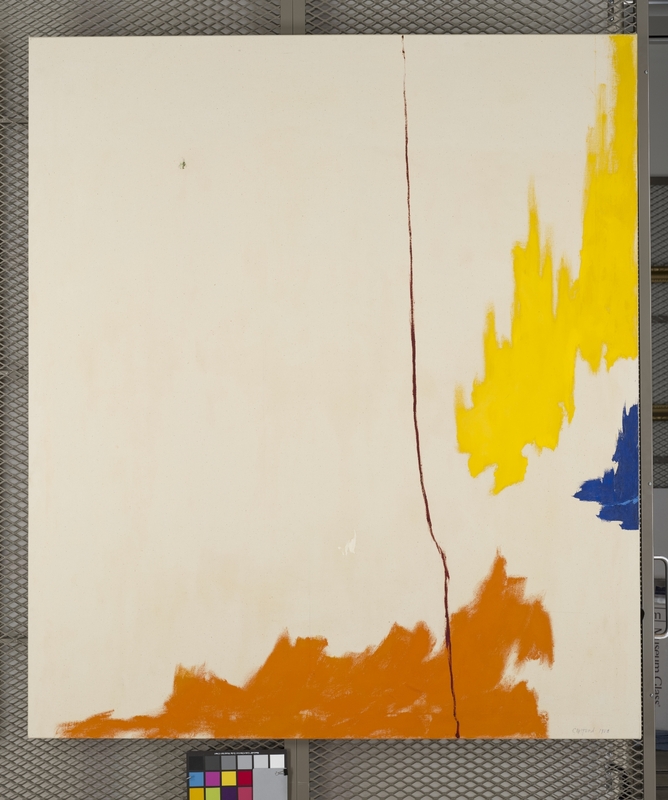 Clyfford Still, PH-1029, 1958. Oil on canvas, 79 3/8 x 69 inches (201.7 x 175.3 cm). Clyfford Still Museum, Denver, CO.